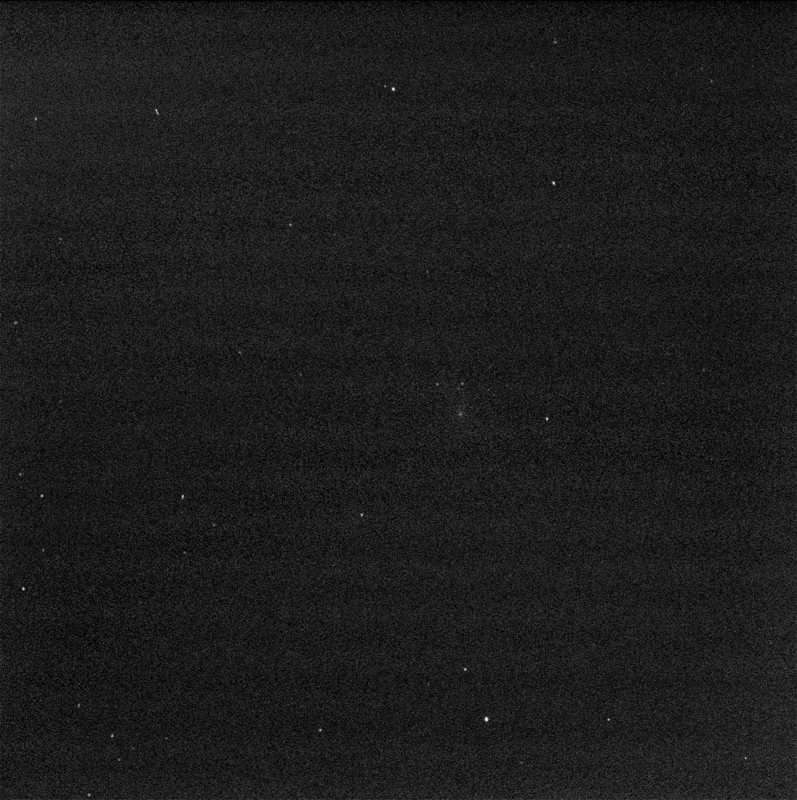 Researchers used the panoramic camera (Pancam) on NASA's Mars Exploration Rover Opportunity to capture this 10-second-exposure view of comet C/2013 A1 Siding Spring as it passed near Mars on Oct. 19, 2014. This image was taken about two-and-a-half hours before the closest approach of the comet's nucleus to Mars. The sky was still relatively dark, before Martian dawn. At the time of closest approach, the morning sky was too bright for observation of the comet. 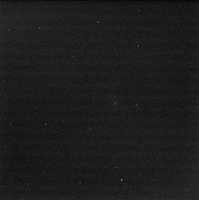 The image has been processed by removal of detector artifacts and slight twilight glow. The duration of the exposure resulted in a 2.5-pixel smear from rotation of Mars.